With the acquisition of Sixt SE’s stake in DriveNow, the BMW Group continues its systematic development as a customer-centric mobility company. Today’s signing is subject to approval by antitrust authorities. With this move, the world’s leading provider of premium mobility is offering customers efficient, sustainable mobility solutions from a single source. The rapidly growing field of mobility services is one of the cornerstones of the BMW Group’s corporate strategy NUMBER ONE > NEXT, as evidenced by the BMW Group expanding its offering in the areas of on-demand mobility (DriveNow and ReachNow), parking (ParkNow) and charging (ChargeNow) in a sustainable way. The acquisition of the Sixt shares is therefore the next logical step in this strategy, following the acquisition of Parkmobile LLC in early January of this year, a move which made the BMW Group the world’s leading provider of digital parking solutions. Independently of the acquisition of the Sixt stake in DriveNow, the BMW Group and Sixt will continue their successful long-standing partnership through delivery of BMW and MINI vehicles for the Sixt fleet. “The joint development of DriveNow impressively demonstrates the innovative strength of Sixt and the BMW Group. We would like to thank the DriveNow employees and the BMW Group for this success and look forward to continuing our strategic partnership with the BMW Group through our contracts for delivery of BMW and MINI brand vehicles”, said Alexander Sixt, member of the Managing Board of Sixt SE, responsible for Group Strategy. DriveNow was founded in 2011 as a premium car-sharing joint venture between the BMW Group and Sixt SE. The service is already used by more than one million customers in 13 European cities. The fleet comprises more than 6,000 BMW and MINI brand premium vehicles across Europe. The electric BMW i3 is also available to users at all DriveNow locations. “In 2017 our customers drove over eight million kilometres with the DriveNow electric fleet – that is equivalent to driving round the globe more than 200 times on electric power. DriveNow not only reduces traffic and improves the parking situation in urban areas, but it is also supporting the breakthrough of electromobility,” said DriveNow Managing Director Sebastian Hofelich. “We look forward to working with our franchise and city partners to continue actively shaping urban mobility in a sustainable manner,” he added. 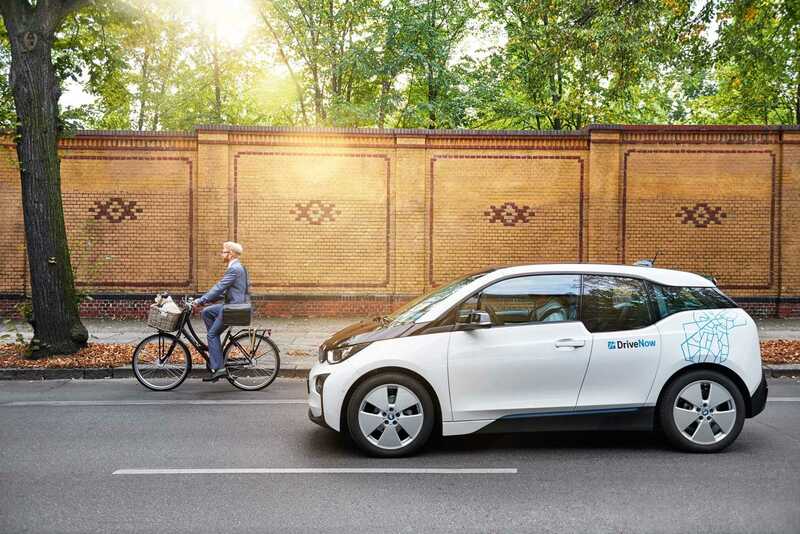 The BMW Group seeks to improve quality of life in urban areas through its mobility offering. The company works with various partners and decision-makers in cities to help shape the sustainable mobility of the future.